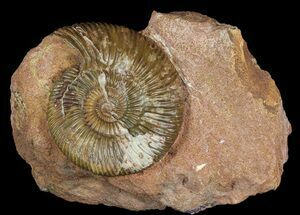 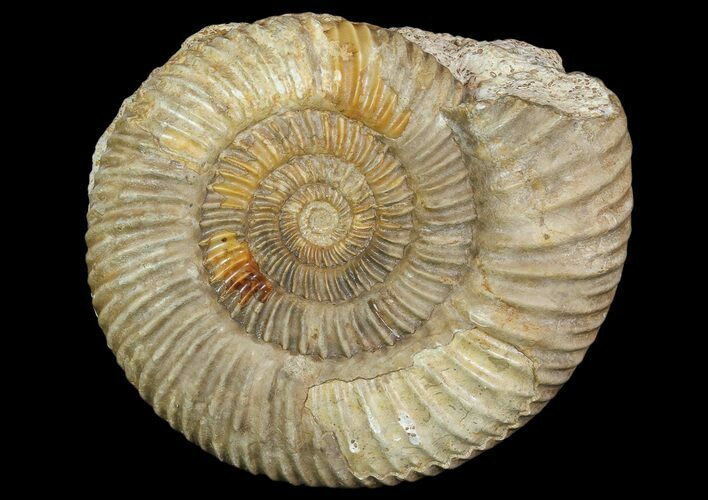 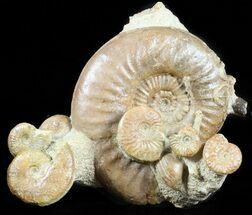 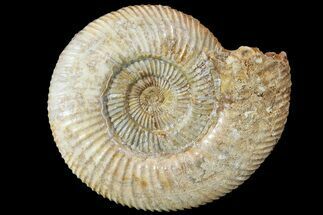 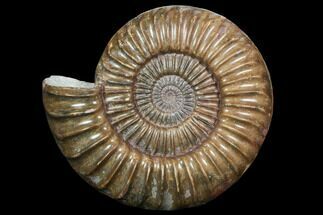 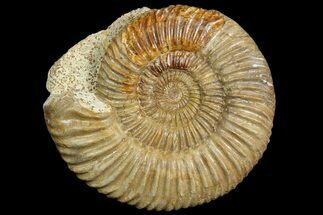 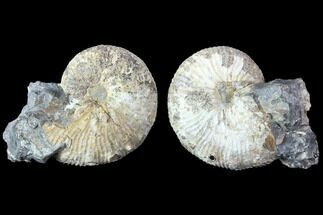 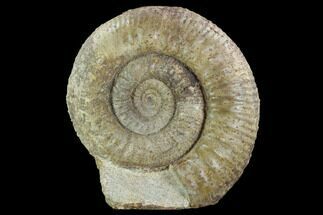 This is a very beautiful, 5.1" wide Parkinsonia ammonite from Fresney, France. 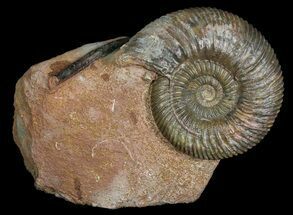 This Jurassic aged ammonite is still partially embedded in the rock from which it was removed from. 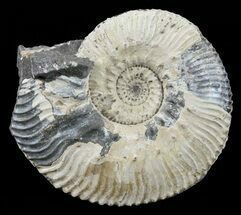 Comes with an acrylic display stand.